You may find our book review of Ethics in Psychotherapy and Counseling: A Practical Guide helpful in learning more about ethical guidelines for Art Therapists. Included in that post is a summary list of 50 international therapist associations with links to their ethical guidelines and code of ethics. Included in this post are useful links to explore the ethical considerations that therapists face in their practice. 2. Apply the relevant Code of Ethics if the issue is clearly defined by your professional association. 3. Consult your professional association if additional clarification is necessary. 4. Review State and Federal laws that may apply. 5. Consider the potential consequences of all options. 6. Implement the appropriate course of action. 7. Seek supervision and process outcomes for your professional development. The resources below are considered general in nature. As an art therapist, therapist, counselor you should adhere to the guidelines as established by your governing body in your specific location. 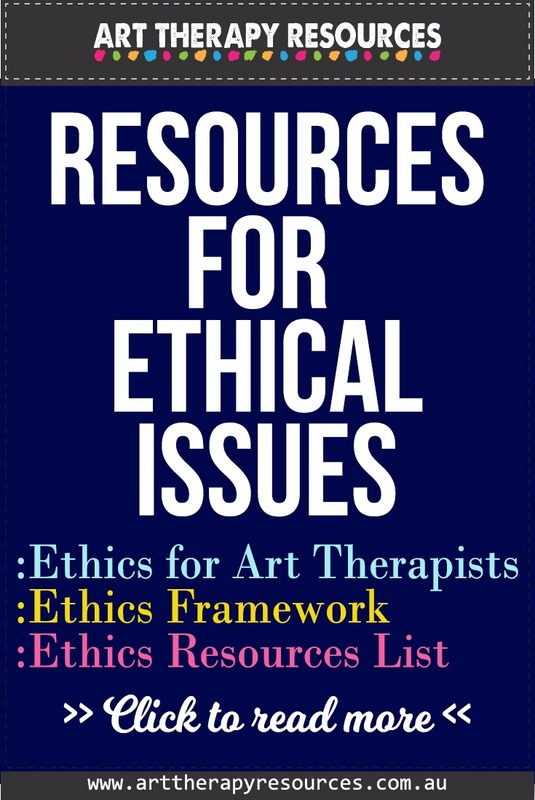 The resources below are provided to give you access to common topics around ethical considerations for therapists and should be used as learning tools instead of strict requirements of therapist behaviour.